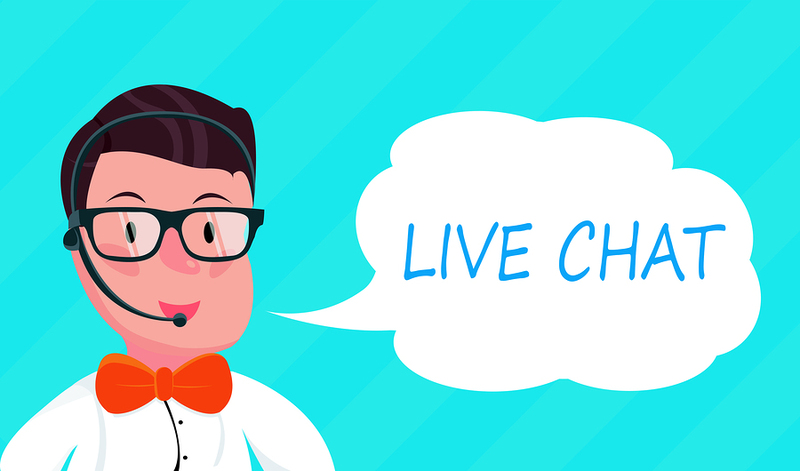 Live chat has recently become one of the most popular choices for customer engagement and support on websites. There used to be a time when live help pop ups were confused with unwanted suggestions or even viruses. The usual reaction was to closing them immediately and move onto other websites. But now, online consumers are aware of its presence, so it has become a norm in ecommerce. Due to its ease, live support has become the best channel to communicate with clients and getting their queries resolved. This constant customer support which is available to global visitors round the clock has gained traction. Since the world has seen an increase in mobile internet users in recent years, live chat has become even more of a necessity due to it being easily accessible. All one has to do is going to a business website and engage with it directly. This has provided a clear and clean channel to communicate. If there are answers your customers are looking for, they will engage you through this medium instantly. Also, any support they are looking for will evidently be provided natively on your own website instead of through search engines and directories. This increases their engagement, be the reason resolving a query, answering a question or even ordering through you. The traditional channels such as phone, email and walk-ins are easily surpassed by the instant resolution offered by live help. Client support through email and phone is becoming obsolete, responses are delayed, there is no answer over weekends, and hence, the hold times are frustrating. Live chat, however, is available 24/7/365 with nearly zero delays. What better way to engage your visitors and consumers than to deploy live help across your website and mobile apps. It is available to help 24/7, which means customers will be able to bring in their queries from any part of the world at any given time. A chat agent will therefore be providing one-on-one solution to each of these visitors to help and cater to their specific problem according to their needs. A one-on-one session will help understand situations and queries better, unless there is a chatbot sitting on the other side of the screen. Chatbots can dish out automated responses based on algorithms to provide a limited amount of information that results from keywords. However, humans handling live chat will always provide a far more customized and accurate solution, at least till AI becomes intuitive. The live chat service for websites provide this human touch where chat agents are available to listen to and understand client issues. They, in turn, provide suitable individual solutions, on websites and smartphone applications. Making phone calls, sending out letters, emails and messages on social media, to get customer support requires hold times which are dependent on many variables. A phone call is costly, especially if you have been put on hold. Most times, consumers only get the “Our customer service representatives are busy at the moment” response. The hold time costs even more to the business and especially to the customer. Since internet access is available to people almost everywhere and at any time, it is convenient and cost-effective for your customers to simply visit your website, open up your app and get in touch with chat agent and address their concerns and queries directly. It does not cost as much maintaining conventional customer service channels such as phone and email with dedicated resources. Live help provides instant solutions and cuts down tremendously on time, money and efforts for both you and your customers. Therefore, it has become an essential for the purpose of enhancing customer experience, engagement and service in a holistic manner with minimal costs. Support staff needs to be effectively trained and experienced enough to understand and provide instant solutions. Whenever customers receive complete attention and quick resolutions, it automatically helps in building trust between you and them. So your brand should ensure that it has provided as much comfort and convenience to them as possible. In fact, going the extra mile for your consumers from time to time is also a great strategy for harnessing loyal customers. If a company is willing to provide support round the clock for the ease and comfort for its customers, they will feel valued and form a bond of trust with the brand. It is also beneficial in catering to their sentiments, needs, expectations, success and happiness. This is the most efficient way to earn their loyalty and convert them from customers to brand ambassadors. How to Keep Your Data Safe and Secure On Your Android Device? This is the paid theme but did some customization too. Thanks for visiting and dropping your comment. There are so many choices out there that I’m completely overwhelmed .. Any suggestions? Thanks a lot! Go with the WordPress but choose any paid theme for security purpose and you can also do customization it it as per your need. Thanks for putting your comment. This article is a great read. I love seeing live chat boxes on websites because not many companies utilize this communication method. However, not many companies use it properly. More times than not, the live chat is off-line and there is no representative available to chat. I feel this is worse than not having a live chat at all. It is frustrating and I lose trust with the company.